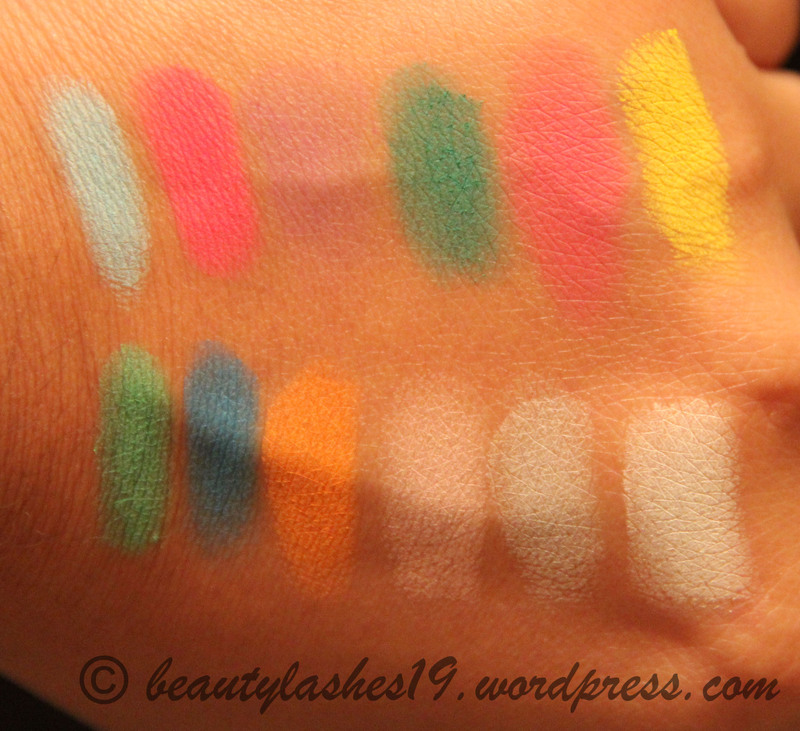 Sleek Ultra Mattes V1 Brights palette..
Here’s presenting Sleek Ultra mattes n BRIGHTS palette.. Costs about $13.99 from RM Cosmetics (Amazon).. The palette is packaged in a hard, plastic black case.. holds 12 eyeshadows, a dual ended sponge applicator and a large mirror.. The colors range from vivid orange, yellow, pink, blue to beige, off white, pale grey.. It is not a palette for every day use.. 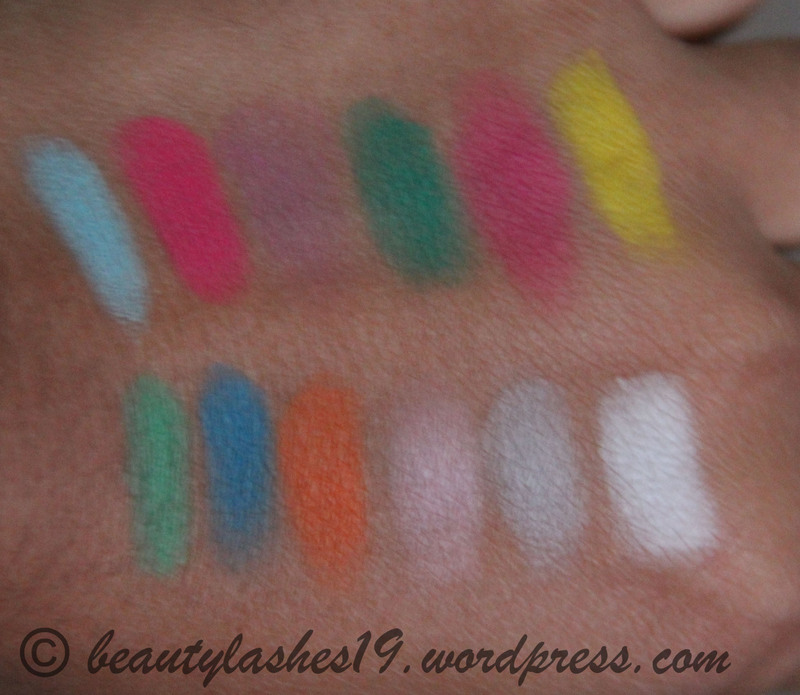 I personally love colors to add to neutral looks or for getting crazy for Halloween, etc.. 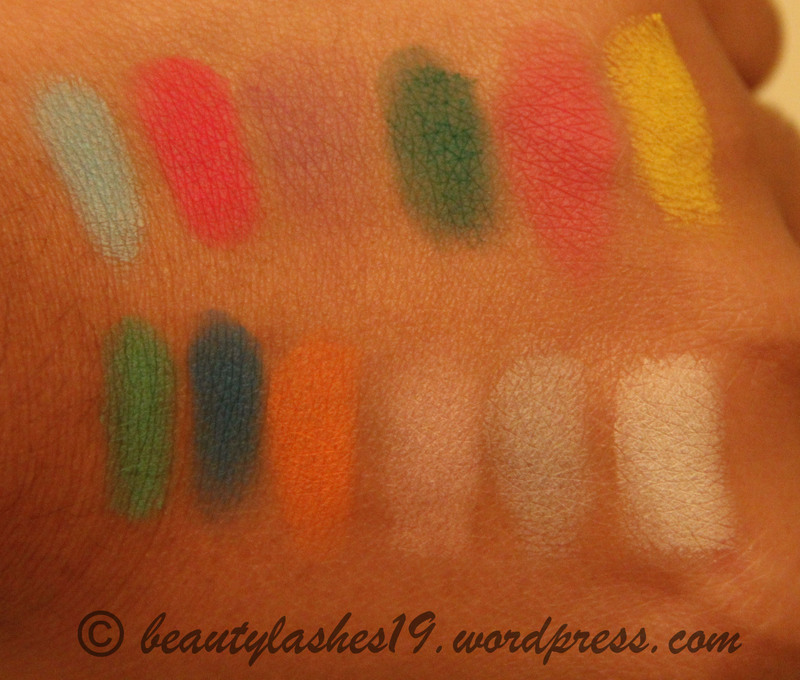 I am impressed with the pigmentation and the color payoff in Pout, Dragon Fly, Bammi, Cricket, Bolt and Strike.. Other colors seem to be ok.. Sugarlite was a complete dud.. didn’t do much.. I had to really struggle to get this swatch.. 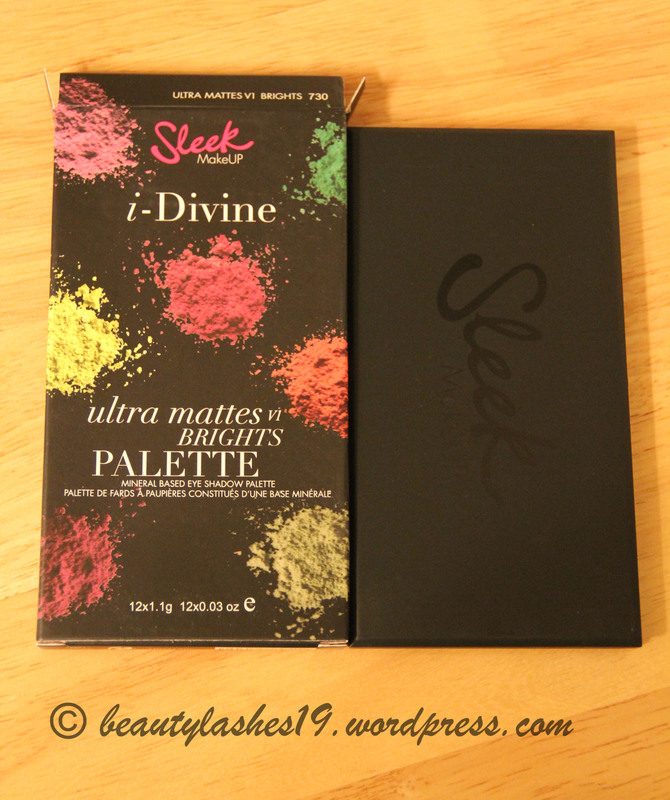 Overall, this is not my favorite palette for colors, but it is not bad considering the price you pay for it.. 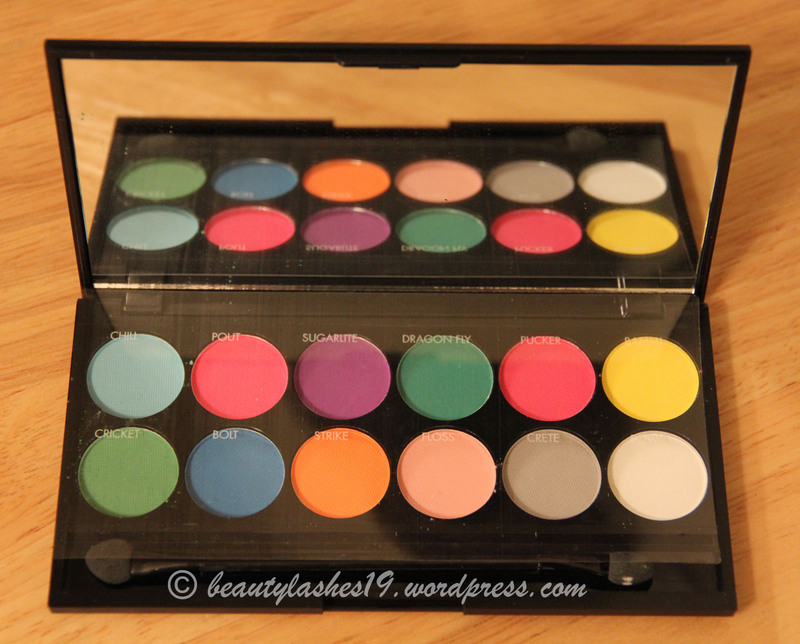 It may be a good palette to have if you are just starting with colors and are not sure if you’ll wear them frequently enough or if you want it for special effects / Halloween / costume party, etc..